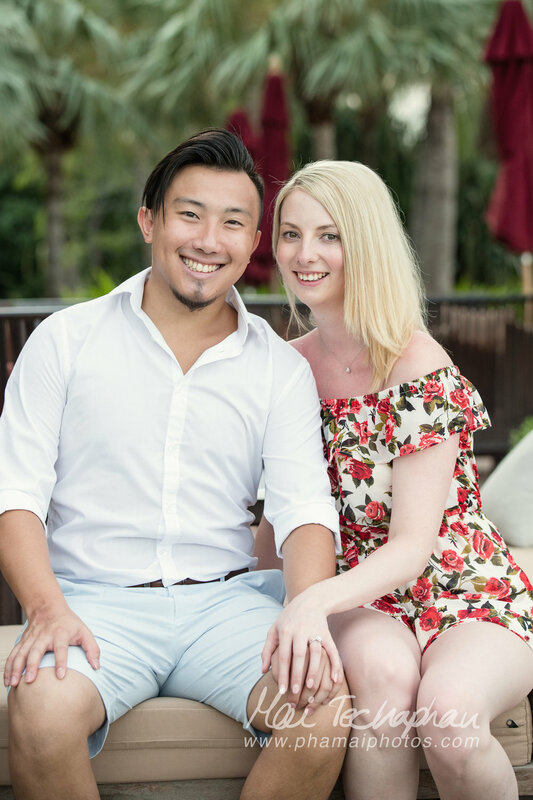 We were quite excited when Jasper contacted us through out Facebook Page (facebook.com/maiphotography) for couple portraits photo session as well as a plan for a surprise proposal to his girlfriend, and he would like us to capture all those moments. We exchanged a few emails and messages through Whatsapp for some planning and ideas. Jasper would like to propose first and then have the portrait session after. On the shooting date, Jasper met with us alone at the lobby. We then went ahead to the McFarland House where Jasper reserved a table on the 2nd floor where he would propose to his girlfriend. My assistant and I pretended to be just another guests on the 2nd floor, and when Jasper gave us the signal, we would then go in and start taking photos. The couple arrived. Jasper and his girlfriend sat down and ordered drinks. Jasper started off with the photo album he made for her. Our signal was when Jasper grabbed the bag which the ring was in it and then we went in. It was a beautiful moment! I was in tears while taking the photos! 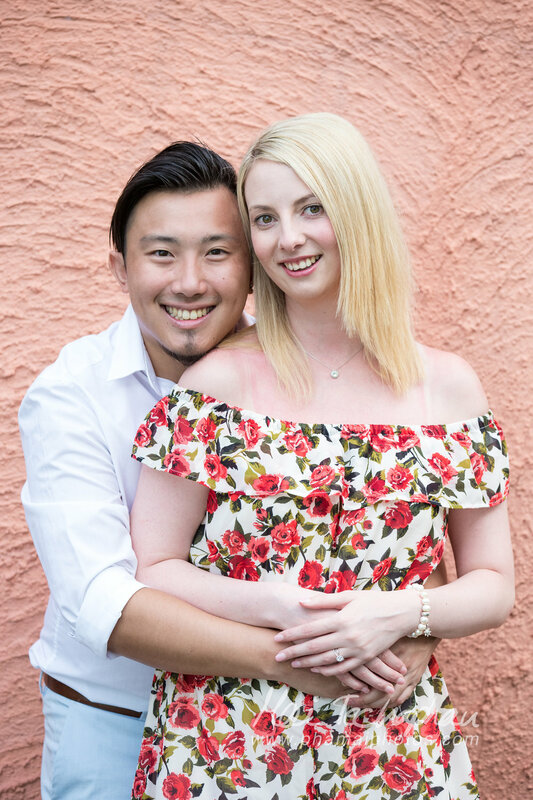 The couple portrait session went quite smoothly. The couple were so happy and we were able to captured all the lovely moments and connection between them. I was very happy to be part of the moment. 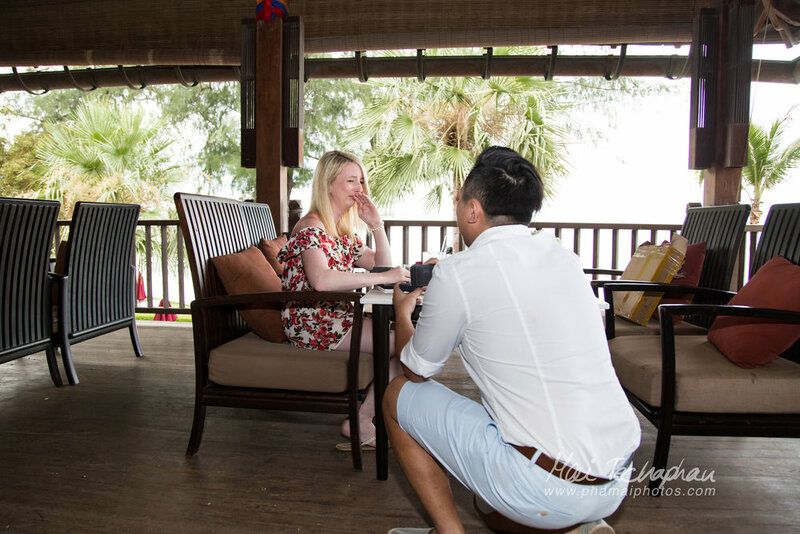 If you are interested in having us capturing your moments, please contact us or call +66 (0)81 7638096.